Pretty safe, these older coins have lots of issues from the low tech minting approaches of yesteyear. I'm looking to buy a fugio, and had a couple of questions. I know a lot of the fugio's had significant die clashmarks - how is this generally viewed to affect the value of the coin? That will as safe a buy as you ever make. As for value, that depends on the ending price, which I expect will be north of $1000. But how much north is the question. Odd thing was - this coin went for $150 (I think*) - seems like way too low of a price. I should have jumped on it - unfortunately the dang auction ended in the middle of some meetings. * I'm not sure it really sold - it looks like it did, but the bid history shows $0 for all bids. It seems suspicious to be honest. The item shows an "estimate" value of $300-$600, so maybe it had a reserve of 300 that wasn't met, though I thought if that was the case it would say so. Actually this kind of begs the question - what is a "live auction" in eBay? How does it differ from other eBay online auctions? maybe someone knows why i can not get thru to the us mint. my guess is their computer service is backed up due to orders for the washington proof. i tried several times and could not get thru. What is the best way to find someone on the east coast who is willing to trade new Philadelphia mint coins for Denver mint coins? Post here. Im sure that you will find someone willing to trade! This is a sale that is online at eBay AT the SAME time as a live in person auction is being conducted at a site somewhere in the world. It is better to be in person, as the fees are lower and you can usually force a win by bidding in person (meaning you can wave at the auctioneer). I have a 1964 nickel which is double struck on both sides. It's double struck backwards on both sides so that the words read backwards. I've taken it to two different people and they both say that it's definitely a strike error but I'd like to know what others opinions may be as well as what it could be worth so that's why I'm posting this....here are some pictures. Hi I am contacting you because I have two coins that I am unable to find any information on. I would like to know the values and anything that may be known about these particular coins however I have searched high and low and have found nothing about them. Below are the descriptions of the two coins. I am in desperate need of help. I have found information about similar coins however not this exact year or type. I have been told it is worth a considerable amount however I am not sure this is true. COIN #2---- This coin is a 1999 Lincoln Cent. It looks normal other then the entire coin has black swirling through it both front and back. It looks as though the colors have been swirled. why does the liberty nickel "stop" at 1913? meaning:they produced very little? The Indian Head (Buffalo) nickel was introduced in February 1913, replacing the Liberty Head design. These were the first official strikings of nickels in 1913; the United States Mint's official records do not record any Liberty Head nickels produced that year. Liberty Head nickels dated 1913 first came to the attention of the numismatic community in 1920. All five were in the possession of Samuel Brown, a numismatist who attended the American Numismatic Association's annual convention and displayed the coins there. Brown had previously placed an advertisement in The Numismatist in December 1919 seeking information on these coins and offering to pay US$500 for each. Ostensibly, the coins had been purchased as a result of this offer. However, Samuel Brown had been a Mint employee in 1913, and many numismatic historians have concluded that he was therefore responsible for striking the coins himself and then removing them from the Mint. If true, this would not have been a unique occurrence; such clandestine strikes were actually quite common in the 19th century, with the Class II and III 1804 silver dollars being perhaps the best-known instance. 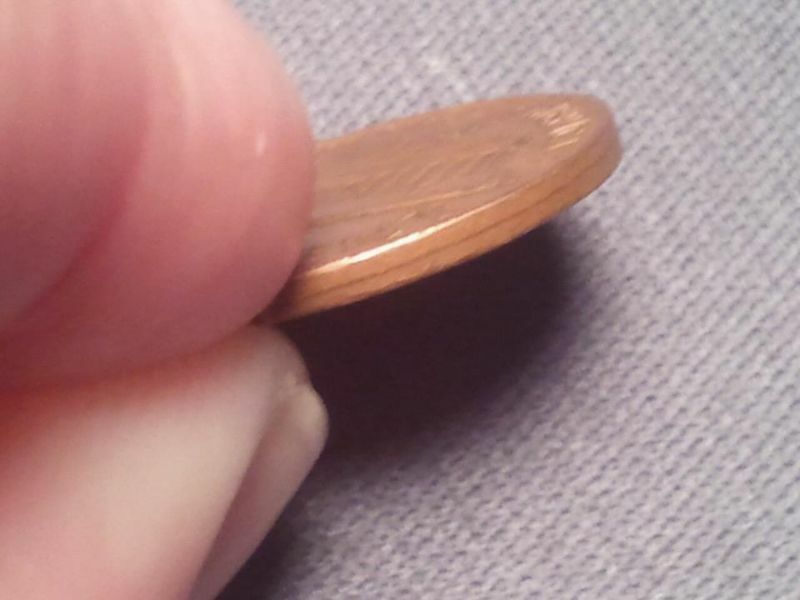 Other numismatic authorities, such as Q. David Bowers, have questioned this scenario, and pointed out that there are several methods by which the coins could have been legitimately produced. Bowers suggests, for instance, that they may have been lawfully issued by the Mint's Medal Department "for cabinet purposes", or that they could be trial pieces struck in late 1912 to test the following year's new coinage dies. However, Bowers did not entirely discount the private minting theory. oh, i had no clue there was a "conspiracy" type situation. thanx admin!